The "Super Stay" is supposed to stay on your lips for freakishly 24 hours. Can that even be possible? I don't really believe it, but let's see. After eating two bananas: The color stays on my lips. But after an oily lunch on 12:54pm, I have to put on new lines. Another adjusting time at 5pm, which, to me, is totally fine. It's warm, hot and I'm sweaty – the outlines are getting a bit fringy. Later at night, on the couch, I've had enough and I'm getting rid of the rests. Resume: I just had to adjust the lines 2-3 times within 12 hours, which is totally ok. Additionally, this product has a great smell, and a great color. However, the advert promise of 24 hours isn't true – if you're eating as oily as I did. I've had this product staying in my bathroom for a while now – the specific color wasn't in stores anymore, and since there were other colors still available from that collection, I didn't want to use the last one I had. The lipstick is easy and very softly to put on. But does it stay on? Well, the soft moist feeling of the stick doesn't really make it stay on longer. It fades away rather fast, and it doesn't stay on your lips if you're drinking coffee or eating food. But compared to the Super Stay whereas the color gets a bit crumby after a while, the color stays soft and simply slowly fades away until it's gone. I still like the color and the nice feel of this product. Today I'm testing a dull lipstick. Until lunch the color stays on the same way I put it on. For lunch I'm having an oily salad. This product doesn't like the oil either and says goodbye pretty fast. Even though the outlines stay on, it looks pretty stupid, so you have to put on new lines immediately. I continue drinking a couple of more coffee – no problem for Ruby Woo. The color stays on very long, without my lips drying out. 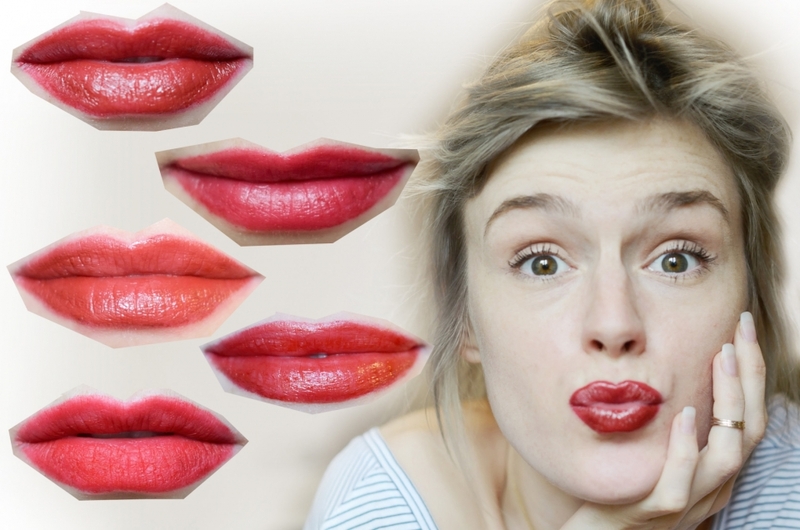 Of course, my lips aren't really moist, which is the reason the product is that resistant. Ruby Woo has been one of my favorites for a while. The color is very powerful. Additionally, it has a dull finish, which I love. Another time promise: It's supposed to stay on for 16 hours (Why exactly 16 hours??). The red two-phase-stick is easily to put on. After a short moment of drying, you're applying the invisible care on your red lips. The outlines don't get fringy and the stick feels pretty well. However, he doesn't survive the oily salad either, just like his 24-hours-buddy. You were allowed to tell me what to test on the last day. You asked me to check out those "pens", that look like you could actually paint with them. I started looking for the Soft Sensation Lipcolor Butter. The consistency reminds me on a glossy stick, but the intensity of the color is definitely comparable to other lipsticks. This product has the biggest care-factor. It makes your lips feel very smooth. Unfortunately, it doesn't stay on your lips for too long. After the first coffee, the color is completely gone. 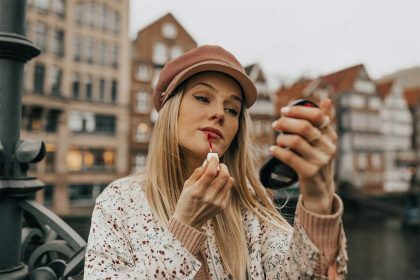 No matter what they say about how long the lipstick is supposed to stay on – it really matters, what you're eating and drinking that day and if your drinks are warm and the food is oily. 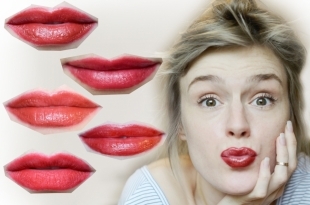 Depending on this, even the normal lipsticks stay longer – or shorter. But the magic (lip-) stick, that survives fries, oily salads, and so on hasn't been invented yet. And even if so, I don't know if I used it. There's gotta be something that makes it disappear again- and that's usually oil! But colors that promise a longer stay show some different attributes than the "normal" lipsticks. The longer the long lasting-products stay on, the drier the lips get. Also, they tend to become a bit porous. The "normal" sticks are fading away quite regularly until they're completely gone. Which happens pretty fast with those products who have a higher care factor.